Billy Early comes through with a new track featuring super producer ILL Brown who’s making a lot of noise silently. ILL Brown isn’t the only heavy hitter Billy Early brought along with him as Skyzoo and Stik Figa both provide some dope versus and Ves 120 slides in with some cuts on the record. So check back this summer as Billy Early plans on dropping his debut project The Early EP! 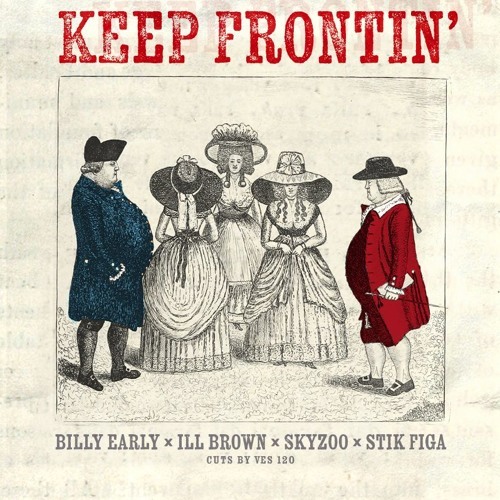 Posted on May 1, 2017, in Uncategorized and tagged Billy Early, ill brown, Keep Frontin, skyzoo, Stik Figa, The Early EP, Ves 120. Bookmark the permalink. Leave a comment.